Gutiérrez, Esteban, and Frank W. Fisk, 1998: Annotated checklist of Puerto Rican cockroaches. Transactions of the American Entomological Society, vol. 124. 333-354. 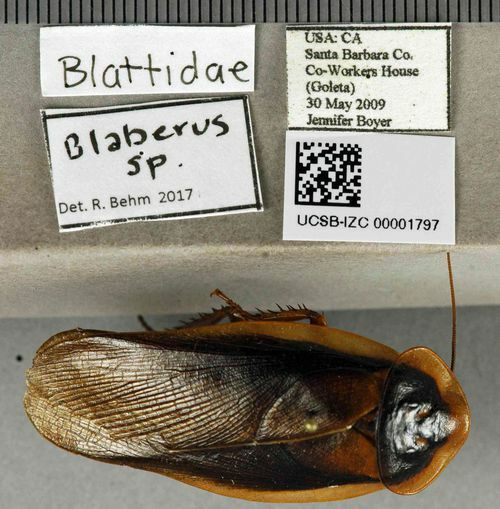 Poole, Robert W., and Patricia Gentili, eds., 1997: Blattodea. Nomina Insecta Nearctica: A Check List of the Insects of North America: vol. 4: Non-Holometabolous Orders. 31-39.